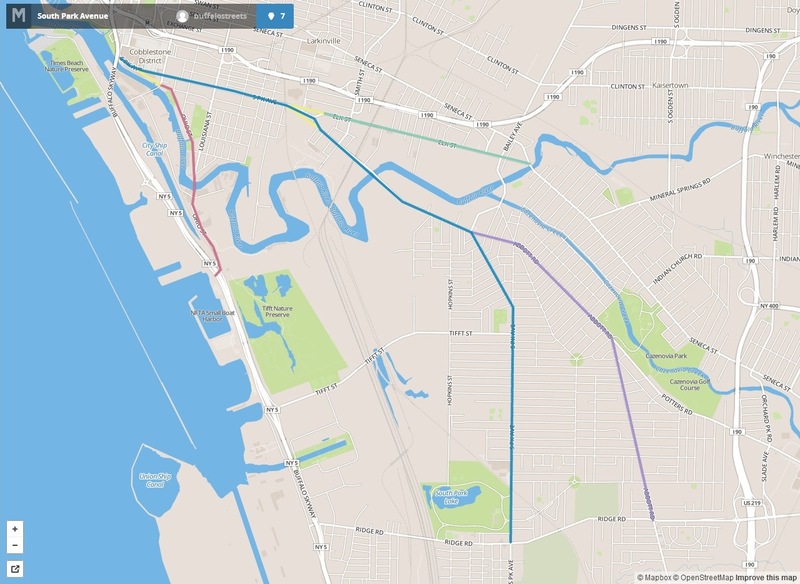 South Park Avenue runs from Downtown Buffalo to the Buffalo-Lackawanna City Line (and beyond down into Hamburg where the road changes to Buffalo Street). Ever wonder why South Park Avenue has some weird intersections? It’s because the street was originally a bunch of different streets! Not all street names are changed to honor famous or influential people. In 1939, a proposal was presented to change the name of four streets to allow motorists to travel from the Lackawanna city line all the way to Main Street in Downtown Buffalo along one continuous road. The proposal began thanks to efforts of the Tri-Abbott-South Park Businessmen’s Association. They proposed that portions of Ohio, Elk, Triangle and Abbott Road be named South Park Avenue. Yes, there was a Triangle Road in the Triangle Neighborhood! Triangle Road ran from Abbott Road to what is now Southside Parkway. 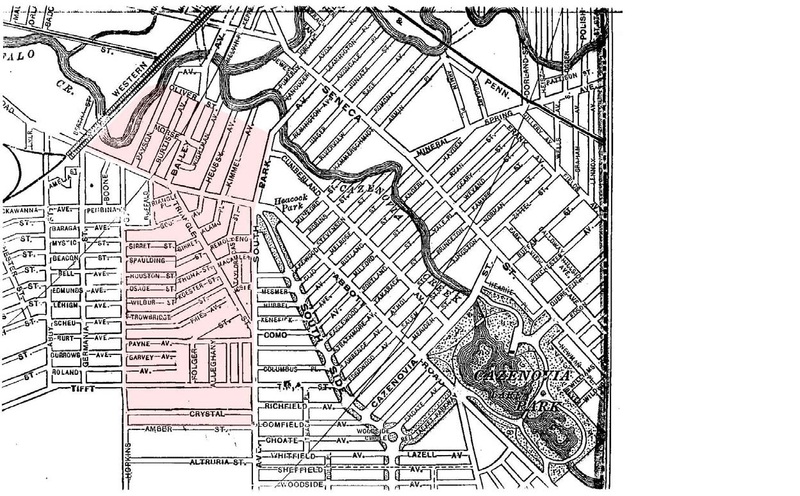 Southside Parkway was originally part of South Park Avenue, which ran from Ridge Road to Abbot Road). Southside Parkway was renamed McKinley Parkway and a portion of South Park Avenue was renamed Southside Parkway. The intent of the name change for South Park Avenue was to allow those entering the City of Buffalo from the Southtowns to be better able to find the downtown district. At the time, when you were entering the City from Lackawanna, you would take South Park Avenue to Triangle Street, to Abbott Road, to Elk Street and to Ohio Street before you arrived at Main Street. You saw five different street names, even though the roads were essentially a continuous thoroughfare. 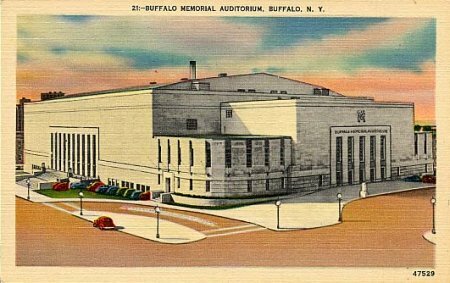 The proposal to change the name was made around the time of construction of the new convention hall (Buffalo Memorial Auditorium) so it was anticipated that more people would be travelling into Downtown Buffalo for events. Additionally, many people were expected to stop in Buffalo on their way to the 1939 World’s Fair in New York City. The proposal was approved by the City Council on May 26, 1939. At the time, the Council kicked around the idea of renaming the road “South Main Street”; however, they decided upon South Park. Of the 38 organizations who comprised the South Park Taxpayers Improvement Association, 35 of them voted in favor of calling the “new” road South Park. Representatives from near the Elk Street business district wanted the route to be called Elk street. Once again Angela …..excellent !!!! I grew up in South Buffalo and this is news to me. I grew up in WNY but have been away for 40 years. Your blogs are always the first thing I read when they appear in my mailbox! Your blog on South Park Avenue took me back. I worked as an accounting manager at Allied Chemical, at South Park and Lee St. I doubt if that factory is still standing. I never knew about the streets being renamed. Parts of the Allied Chemical property are still in use, parts are being remediated and cleaned up. If you make it back to Buffalo, you should try to stop by the Steel Plant Museum on Lee Street…they do some awesome stuff with our industrial legacy.